While some divisions in NPSL have not started league play yet, the Golden Gate Conference is already headed into week three and by the looks of it, the table is completely upside down from how it finished last year. Both Napa Valley 1839 and Sacramento Gold FC, who finished worst in their division, sit at the top of the table with 6 points each this Spring. Napa Valley 1839 have the week off, but Sacramento will head to Casa Grande High School on Saturday, April 6th to take on Sonoma County Sol. Sonoma, led by Maurilio Lopez with two, have averaged 2.5 goals a match so far this season. Meanwhile, Sacramento Gold have scored only two goals from their first two, but keeper Hector Grajeda has kept two clean sheets in the process. This match is a great early season battle between a playoff team from last year and one of this season’s contenders. Much like the NPSL, not all of the UPSL has fully kicked-off yet; however, the Western Conference’s Wild West Division is already headed into week two, three, or even four for a few of the clubs. At the top of the table are newcomers Contra Costa FC who lead the pack with 9 points from their first three. However, just below them in the two and three spots in the table are Pajaro Valley United FC and Vacaville Elite – both on 6 points. Vacaville are set to host Pajaro Valley at Schaefer Stadium, with a 6:00pm kickoff. The is listed on MyCujoo, and should be available for streaming. Depending on Contra Costa’s results hosting San Jose on Saturday, either of these two teams can pick up three points and have a share of first place… for now. 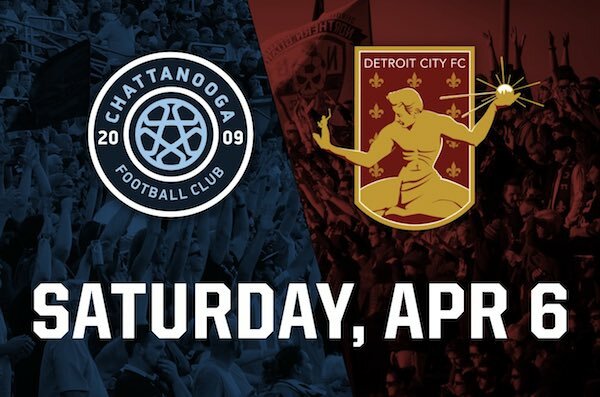 April 6th is a huge date for grassroot soccer: Open Cup qualifying, Detroit City FC v. Chattanooga FC and tons of NPSL action. But what am I most excited about? Open Cup qualification. Even though I have tons of issues with the open cup, like: a fourth qualifying round, the fact that it’s not really “open” and that teams spend enormous amounts of money to only be hung out to dry by the actual competition. Even with those barriers given by the US Open Cup, there is still glory and a dream. A dream that every amatuer club tries to pursue, the dream of beating a top tier club and becoming Open Cup Champions. A dream that starts with qualification. Of course the most interesting match for me, as a Southern Californian, is Cal FC v Santa Ana Winds FC. Both of these squads have shown dominance throughout qualification and their respective UPSL seasons. Both clubs have developed talent and pushed them on to the next level. The winner of this match moves on to the Open Cup. Cal FC has a chance at repeating its historical 2012 run and Santa Ana Winds FC has a chance at making personal club history and moving up through the competition. While this match may be an uphill battle for the Winds, a win against Cal FC could prepare them for tough challengers as they move through each round. While the Open Cup does have its problems, it also has the potential to create history. A chance for an amatuer squad to win it all and represent every amatuer club in the country. So find an amatuer club and route for them throughout this process and who knows, maybe you’ll find the dark horse that every grassroot soccer fan is looking for. Of course I’m writing about Inocentes. After two seasons of ridiculous success, both of which ended in the national playoffs, Inocentes looks to continue their run in UPSL season #3. They won last week 3-2 and have to feel good about their chances against FC Denton. FCD finished outside of the Central Conference Playoffs in their first season in the UPSL and lost their opening match of the 2019 Spring season 3-1 to Irving FC. I’m curious to see if Inocentes beats up on FCD and transitions that success into a season-long run. Or do we see a great club play down to lesser talent. Certainly that’s what I’m looking for in this match. Yeah, I know it’s a friendly, but it’s a friendly between two of the biggest clubs in lower league soccer. Certainly the two clubs in the NPSL with the biggest and most passionate fan bases. While the result won’t matter in a table, the result will be a matter of pride for the club that comes out on top. I’m curious to see if the clubs involved in this match come hard or play like it’s a scrimmage. I think the second makes a lot more sense, but with the amount of passion this match will bring, I wonder if this will be a match to remember. It will more than likely be the last time these two clubs meet until the Founders Cup kicks off in the Fall, so enjoy it! Also, the guys that didn’t pick this match are crazy.